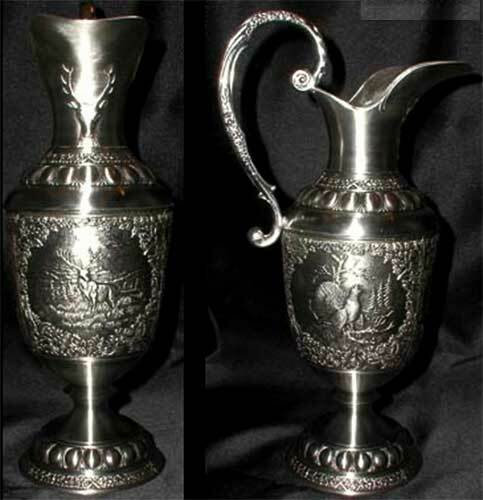 This Irish decanter is hand-made from lead free pewter. 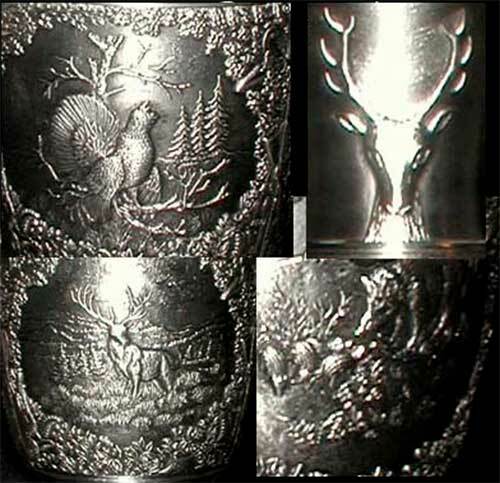 This pewter carafe features the woodlands designs on three differently embossed panels that are enhanced with a stag, a wild boar with piglets along with a pheasant. The lead free pewter decanter is further enhanced with an embellished handle and a flared lip. The wine decanter is made in Ireland by Mullingar Pewter and is gift boxed, complements of The Irish Gift House.